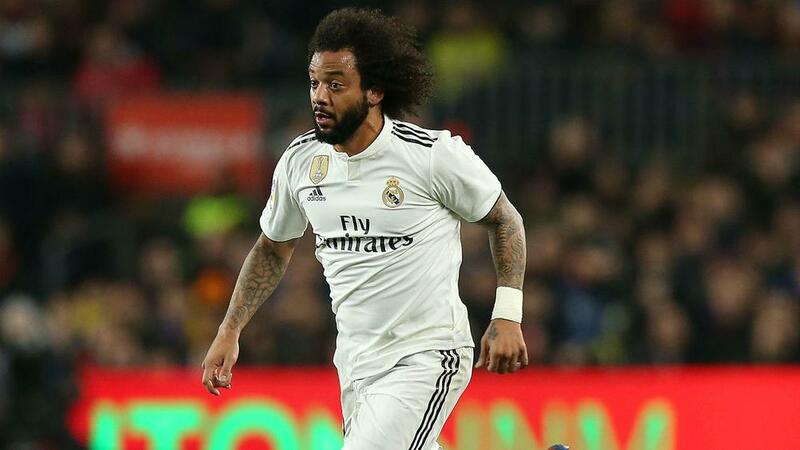 Real Madrid left-back Marcelo is prepared to leave the club if they no longer want him, but he remains optimistic about his standing at the Santiago Bernabeu. Sergio Reguilon has been the main beneficiary of Marcelo's slump, with the Madrid youth product following Santiago Solari up from the club's Castilla side and making nine appearances on the left side of defence. "If I am on the list of players [Madrid] want to sell, then they can pay me up and all is sorted," the 30-year-old told Esporte Interativo. "I trust in myself, in my work, but if a day comes when Real Madrid do not want me, I'll go. I will be sad, but I'll go. But I am sure I will not be kicked out." "The level I have been showing is difficult to always maintain," he added. "I am a little below that level at the moment, but my career has been like that, some little dips, and unfortunately this season I had three injuries in two months. "I went through a difficult period in my football and within the club, but that phase is over now, I need to play to get back to my usual form and confidence. "But I feel good now, physically good, I am training strongly. I need to play to get back my confidence, but physically I am good."